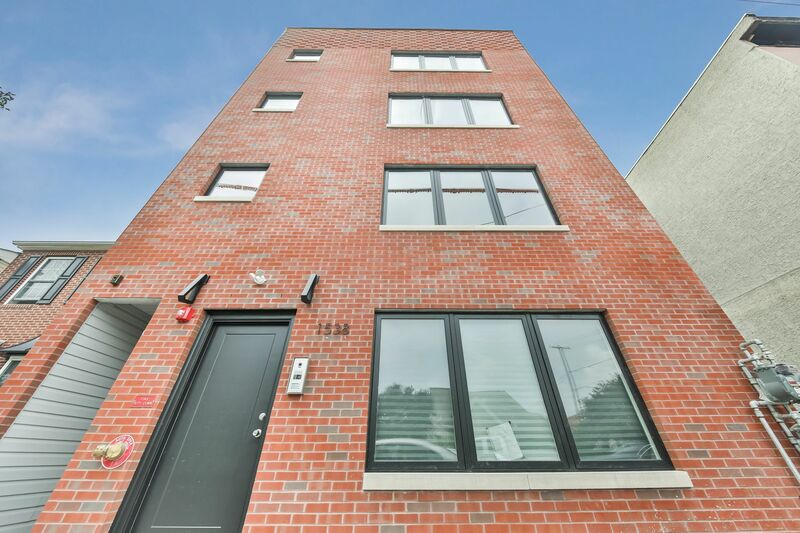 Located in Ludlow neighborhood in Philadelphia, where you can breath and enjoy great space free from the crowds of some of it's nearby neighborhoods. This 25-wide brand new building boasts striking and sophisticated interior finishes with oak floors throughout, kitchens with marble herringbone or stainless steel backsplash, Frigidaire Gallery suite of stainless steel appliances, and Quartz countertops, all designed around open floor plans perfect for entertaining. All of the units feature spacious bedroom suites, walk-in closets, luxurious bathrooms, laundry areas with washer and dryers, intercom systems with buzzers, Nest thermostats, and access to the pilot house with wet bar and the roof deck is accessible to the three unit tenants/owners. Enjoy views of the Benjamin Franklin bridge and downtown Philadelphia from this uniquely open vantage point on this quiet block. Just west of Fishtown and north of Northern Liberties, you get to enjoy the best of both worlds. 10 Year approved Tax abatement. 1-Year Builder Warranty!